Soon my 3rd book will be out ~ Mordacious Knits ~ extremely busy with writing, so check it out! 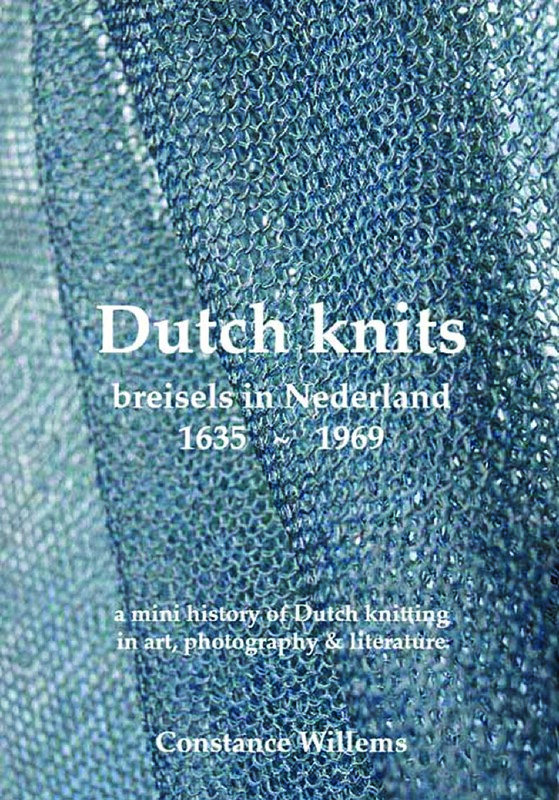 Recently Dutch Knits, breisels in Nederland 1635-1969 was published. 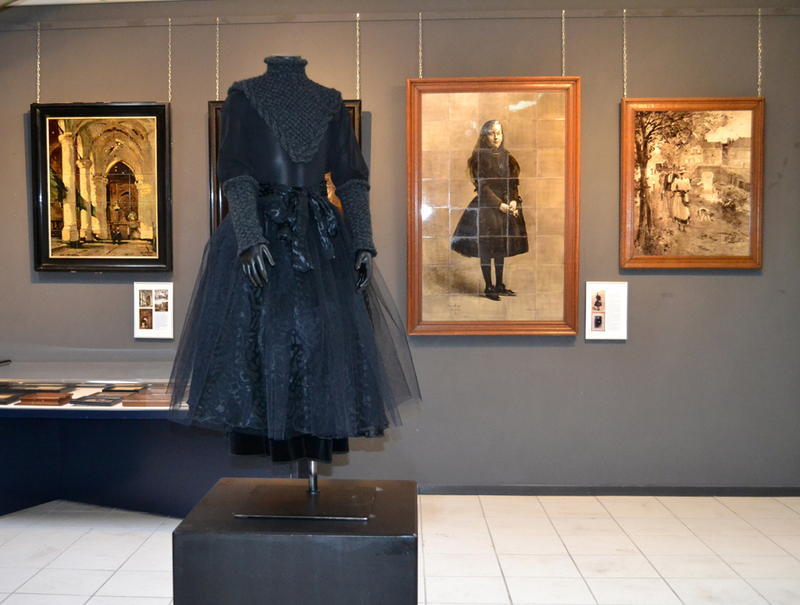 The maker Constance Willems did a 3 year long research dedicated to knitting in the Netherlands during more than 3 centuries, and this cultural history is mainly told through paintings, drawings and later on in photographs as well as through literature. This 40 pages A4 booklet takes the reader from the Dutch Golden Age to the end of the 1960s and surprisingly shows that even the feared by his enemies admiral Piet Hein, to be a dedicated knitter. 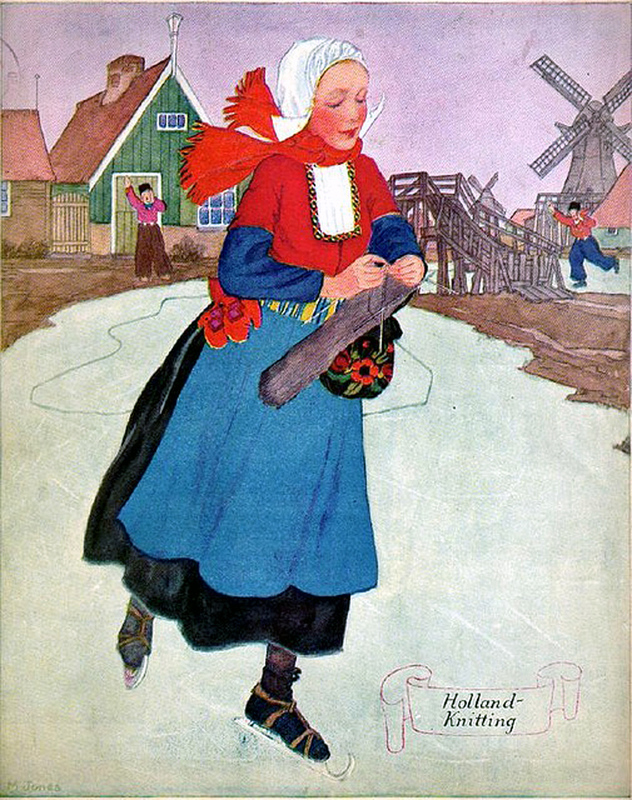 The series of illustrations also show that in each family and on each social level, knitting was very much widespread. Wealthy ladies in the 17th century used wool, but also the posh in lace dressed ladies from the baroque period handled the knitting needles. People did not stay behind and participated in this craft. Knitwear was durable and can be used under various weather conditions as shown by the knitted and felted head wear of the Dutch whalers on Spitsbergen in the 1650s. Towards the end of the 18th and early 19th century, more knitters were depicted in art. That was due to the increasing interest in 'ordinary' people. What is striking then is that many women and girls worked in the sandy dunes with wool. They waited, according to Willems, that way for the return of their husbands and relatives who sailed out to sea as fishermen. Their waiting time could be well used by doing something productive with this centuries-old handcraft. Press release for Dutch Knits, breisels in Nederland 1635-1969 by Constance Willems. 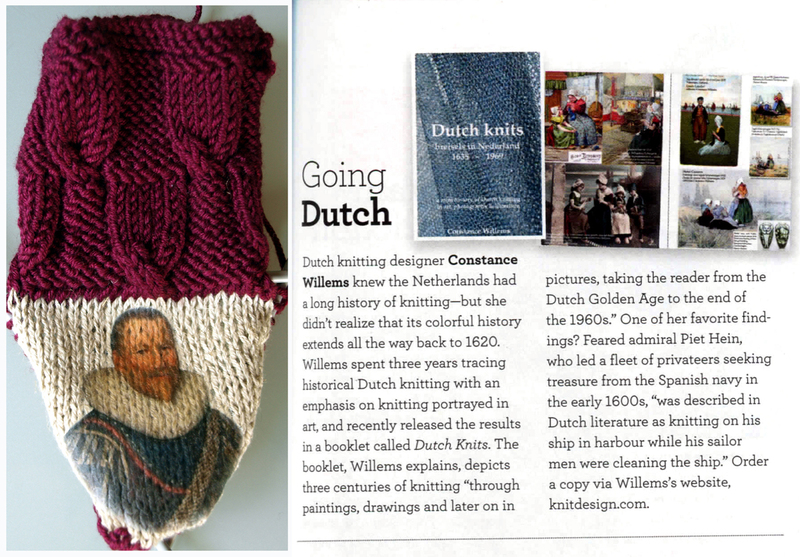 A mini history of Dutch knitting in art, photography and literature, in Dutch and English.